Paired cows run a muddy course of about hundred meters. 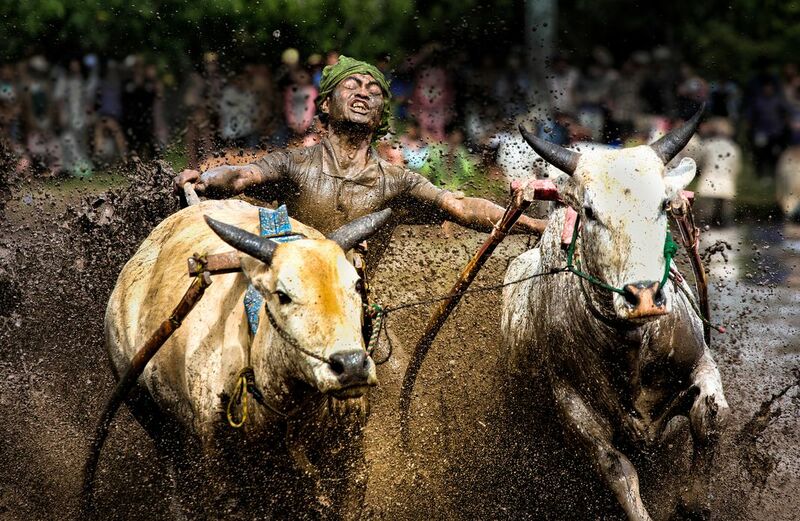 The objective is not to be the fastest but to finish the course in a straight line and with maximum possible grace.A jockey positions himself on a wooden contraption fixed to a harness, holds on to the tails and occasionally bites them to egg on the cows. Date Uploaded: Nov. 27, 2017, 2:03 a.m.